Taleb does not say this in his book, but precious metals are both antifragile and robust or unchangeable in nature. Normally, the price of precious metals would have risen alongside the increase in the money supply. The concept of antifragility comes from NaseemTaleb’s book Antifragile. In it, he describes things and processes that thrive on mistakes and volatility. Basically, an antifragilesystem is one where error and/or risk is allowed, encouraged and leads to improvement overall. A fragile system is one that is artificially controlled, like a modern forest fire, for example. Such control ultimately leaves the system much more vulnerable to disaster. Another example is the financial system in the age of constant bailouts and too big to fail companies. Add to this the absence of moral hazards, and the resulting extreme misallocation of capital and risk has resulted in apersistent disconnect between price and fundamentals. On the other hand, a robust system is one that is essentially stable over long periods of time. An example would be the long term purchasing power of precious metals across all paper currencies. Perhaps the ultimate fragility is an intrinsically worthless paper legal tender maintained by force and the control over the commodity futures markets by allowing sellers to pay for their trading losses in paper instead of real goods. Paper currencies have value that is only based on debt and a country’s ability and willingness to repay it. Unfortunately, the debt can only be serviced by printing new paper currency, which then results in more debt. Crises of confidence are the ultimate emotionally driven events, and a severe U.S. Dollar crisis could wipe out an entire investment class practically overnight. Nevertheless, the more intervention occurred, the worse the volatility observed as price swings increased. More volatility increased emotion and investor interest, thereby leading to greater liquidity and ultimately demand. This is a sign of failure — as quiet desperation protects the fragile U.S. Dollar based fiat currency system. Furthermore, precious metals are antifragile because market control and mispricing alongside rampant money creation results in bad money chasing out the good, a la Gresham’s law. 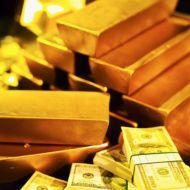 The more their prices areartificially suppressed— overtly through propaganda and covertly through price controls — the stronger the case for holding precious metals becomes.